Why have over 190,000 Californians adopted solar energy? 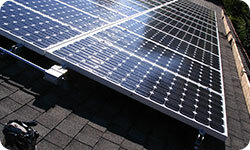 The reasons for installing solar energy systems are as individual as each residential or commercial system, but the benefits each family or organization receives are common: reduced energy costs now, protection against future utility price hikes, and the knowledge that they are contributing to a healthier climate and economy. Nearly 1,000 of these solar pioneers have received an added benefit that ONLY Cooperative Community Energy Corporation (CCEnergy) can deliver – unbiased advice. As the only renewable energy cooperative in California, CCEnergy is literally owned by our customers – ensuring that we provide maximum benefits through discounted equipment, expert design services, and installation project management. Investing in a solar electric system for your home or business doesn't need to be an intimidating process. Your solar electric system should be designed to meet your unique circumstance and goals. Select an option below to learn if "going solar," with CCEnergy, is right for you. PACE financing now available! 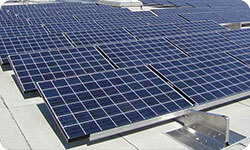 Upfront cost of solar making you hesitate? CA's new PACE program lets homeowners install solar and finance the cost on your property tax bill! No money down, no approval process from the bank, and you can pass along the cost if you sell your house. CPUC Expands Virtual Net Metering. Virtual Net Metering is the process by which a single PV system owner can allocate his or her system's output as credits to other tenant meters, allowing a single system to power multiple residences or businesses. Compensation for Net Generators. Customers who generate more electricity than they use, on a 12-month basis, now have the option to receive financial compensation for the excess energy.